Next Year in Havana is developed on the notion of postmemory coined by Marianne Hirsch. Postmemory is the relationship of the second generation to events before their births that are transferred to them as powerful and meaningful stories. These constitute memories in their own right. 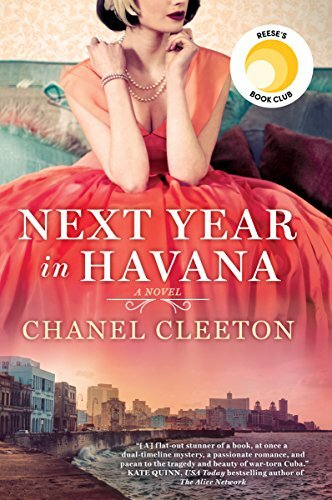 As a Cuban American writer, Chanel Cleeton has grown up listening to and living with the stories told to her by the family. Structurally, Cleeton’s novel is divided into two parts: Elisa Perez’s story from 1958-59 and Elisa’s granddaughter Marisol Ferrera’s story, in 2017. The novel starts with the story of Elisa, the nineteen-year-old daughter of Emilio Perez, a sugar baron and one of the wealthiest men of Cuba, who has to leave the country due to the revolution. Parallelly, the novel narrates the story of Marisol, who is trying to put together the told and untold stories of her grandmother as she goes to Cuba to spread the ashes of her deceased grandmother over Elisa’s beloved Cuba, the Cuba that broke Elisa’s heart but still was so much loved. Like Cleeton, memory and imagination constitute a great part of Marisol’s identity—she has made several imaginary trips to Cuba and has a multi-layered and bicultural identity. Marisol’s stay in Havana gives her another perspective that is completely different from her worldview in Miami. Marisol’s journey ends with her arrest and questioning in Cuba. She goes back to the US, this time with a new exile, Luis. He has to leave behind his beloved Cuba and family in order to save himself. Of much relevance in Next Year in Havana is the contrast between Cubans and Cuban Americans on the other side of borders in many terms. The author shows how problems have cropped up in Cuba and how Cubans outside of the country lack a clear image of the country and preserve a version of Cuba that does not exist (308). Cleeton adds much to the field of US Latinx literature by showing the experiences of second-generation characters in facing the real Cuba. This novel will be a good read for undergraduate students working on contemporary US Latinx literature. Chanel Cleeton is originally from Florida and has grown up listening to the stories of her family that left Cuba following the events of the Cuban Revolution. She holds a master's degree in Global Politics from the London School of Economics & Political Science. Next Year in Havana​ is a publication by Pinguin Random House and can be purchased online. Click here to purchase. Toloo Riazi is a Ph.D. Candidate at University of California, Santa Barbara, where she is specializing in contemporary Hispanic literature and culture. She has translated a few Spanish books into Persian, among them Cronopios and Famas (Julio Cortázar), Dear Diego (Elena Poniatowska) and The Basement Window (Antonio Buero-Vallejo). Her scholarly interests include revolutions, gender, migration, border, cultural and film studies.